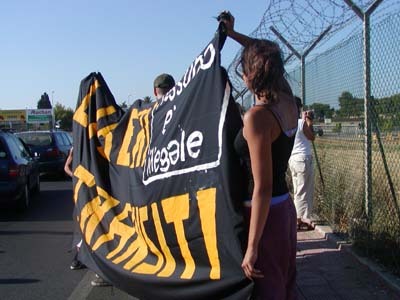 03.Aug.03 - Following the noborder's Sunday action the detention centre in Bari Palese was definitely closed yesterday. According to official sources the centre was closed because only a few immigrants were kept inside and the management of the centre was becoming too expensive. 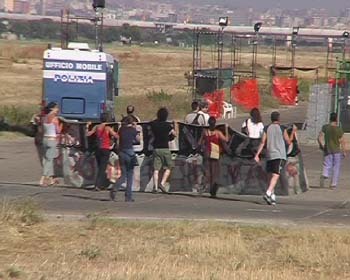 Of course, we consider the closure of the centre as a success of the attention raised by the action that took place on the last day of the noborder camp Frassanito. 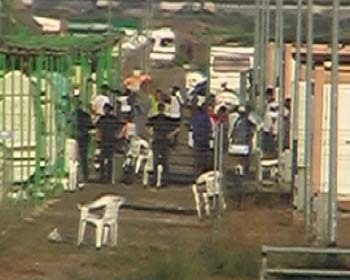 For the first time in the history of noborder activism in Europe a number of detainees could profit from this action and escape from the centre. At the time of writing some of the migrants who escaped during Sunday's action where known to be free and to be doing fine. 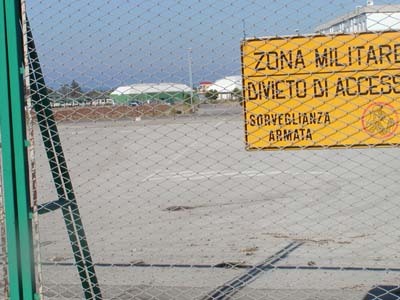 The remaining migrants that were kept inside the centre after this Sundays action were transferred to other centers in Otranto (Tonino Bello) and San Foca (Regina Pacis). 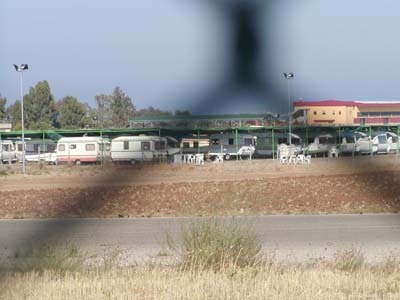 Both centers where also targeted by noborder activists demanding their closure during last weeks camp. This Monday they will go to court for the decision regarding their detention (until now their detention has never been validated by a judge and the migrants have not had a chance to speak to lawyers).